District cooling is currently booming in Middle East that is currently taking over the no. 1 position from U.S. and still expecting to triple in size. This leaves a huge market for pumps, but Grundfos presence in the district cooling market is relatively limited. One of the reasons is the market dynamics. When constructing a pumping solution, engineers specify pump requirements and procurement makes the purchase. As a result, minimum specifications, cost, and delivery on time has the highest priority while lifecycle costs are left outside of consideration. On top, competitors are very aggressive on price due to the attractive growth and the potential after sales market. 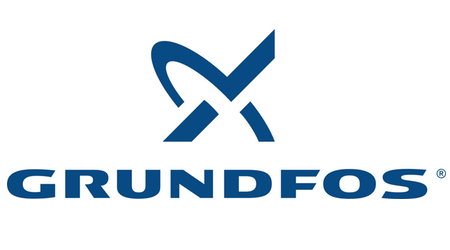 Grundfos makes one of the best pumps in terms of energy consumption and control, but since pumps are more expensive it is harder to sell, even though pumps consume energy that is worth 6-8 times more than the cost of a pump, just in one year. Middle East District Cooling Market Analysis: Understand market landscape, Map known and unknown competitors, Collect feedback on competitors – brand perception, product setup, value proposition, brand positioning etc. Research aim is to provide Grundfos with recommendations how to act in the market: How can we differentiate from competitors? How can it become a good and profitable business? For this project we seek for talented group of Master/Bachelor/Diploma Thesis students (or a single student) pursuing relevant education in Business Management, Strategy, Marketing, Engineering Management or alike. Project will revolve around engineering concepts, so basic understanding would be to your great advantage. We would expect you to be located in United Arab Emirates in our Dubai office. You will have an office space ready for your work there. Arabic language or exposure to Arabic culture is not a must, but it is definitely a big plus. We expect you to be self-driven and autonomous person with proactive approach. Your recommendations will serve as a backbone in developing a new strategy for the market. Each application is being screened and interviewed on an on-going basis and case will be closed regardless of a case deadline once the right match is found.